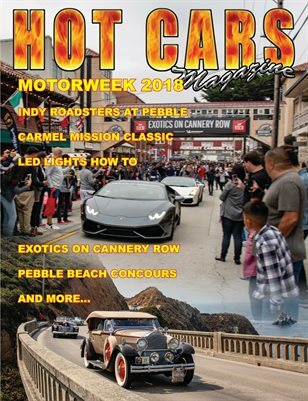 In this issue we take you to last summers Monterey Montorweek! We'll take you to the Pebble Beach Concours d'Elegance and to Exotics on Cannery Row! Mission Carmel's "Blessing of the Cars" Plus we install LED headlights in our 2003 Monte Carlo. 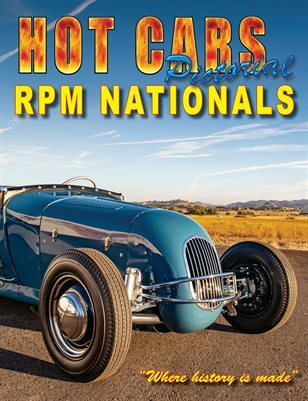 The 2018 RPM Nationals was an amazing event that brought together dozens of some of the best historic, vintage drag cars in the country! Our 48 page pictorial is the next best thing to being there! Click on any of the covers above and a seperate window will open where you can order the issue from MagCloud.com. PLEASE NOTE: ALL magazine purchases on this site are through MagCloud.com and not HOT CARS magazine!